It’s time to look at a Charlie Brown Valentine’s special. It’s been a little while since I have seen one so it’s cool to go back to the franchise. It’s a fun enough special but not really one of the strongest ones due to the Valentine’s plot with Charlie seeming a little recycled from previous specials. So, it’s a few days before Valentine’s. Charlie Brown is determined to finally give the little red haired girl a Valentine this year and hopefully they can be friends. The problem is that Brown hasn’t gotten any braver over the years so he will need Linus to act as the middle man. Meanwhile, the annual dance is coming up and Marcie intends to ask Charlie Brown to it. The problem is that he has been having trouble with his hearing lately so this can be tricky. All of the different story arcs are related to Valentine’s in one way or another. That being said, the bullies don’t take a day off for the holidays and they decide to pick on the Little Red Haired Girl. She’s usually so mysterious that nobody dares to mess with her so this was certainly a change. In fact, she appears quite a bit more here than she usually does. We get to see Linus break out the whip once more which was pretty cool. He’s still one of the best characters in the series for sure. You feel bad for him because he just wants to be friends while someone is constantly trying to stop him from this goal. Lucy still has her knowledge booth where she helps with your problems for a nickel. It’s not even a bad deal if we’re being honest since that’s rather cheap. Her items for purchase do take a few days but at least she doesn’t ask for cash up front. This way it’s hard to actually call it a scam since you end up keeping your money in the end. Snoopy’s role here is rather small. He gets invited to the dance and shows the whole school who the best dog is. Beyond that, he doesn’t get to fight with the Red Baron or hang out with his bird pal. I guess there isn’t much they could do to celebrate Valentine’s, but at least show them eating some chocolate or something. I’m always ready to see more quality Snoopy screentime. Charlie Brown looks pretty bad as per usual. His worst scene is probably when he just watches as the little red haired girl gets bullied. It’s no wonder that she ignores him since Charlie won’t even help when she is in a pinch. So much for counting on classmates right? Charlie even throws away his lunch which was pretty unfortunate since I’m sure a lot of effort was put into that. It didn’t look particularly appetizing if we’re being honest, but I’m sure Charlie didn’t mind or he would have given Linus a speech about it. The animation is consistent as always. It does look a little cleaner than the older specials but unless you see them side to side you probably won’t notice much of a change. It’s a style that still works so I suppose that’s good enough. It’d be nice to see how the series looks with a modern hand drawn style but I have no real complaints with it here. You’ll hear some of the familiar tunes as well. There isn’t much of a soundtrack, but what is there works fairly well. The pacing is pretty good so the special flows well. There aren’t any boring subplots to drag it down or anything like that. It would have been nice if we could have gotten some kind of competition in this special since those are usually the best segments in the series. I guess it may have felt rather tacked on though. Overall, This is a fun Charlie Brown special. The characters are iconic at his point and the special is so quick that he pacing is really good. None of the plots overstay their welcome either. While Valentine’s doesn’t lead to plots that are quite as engaging as other holidays, it does its best with what it has. I’d recommend checking this out if you’re a Charlie Brown fan. Otherwise this probably isn’t the ideal special to start out with but you’ll enjoy it all the same. It’s a fun story with good characters. What more could you ask for? 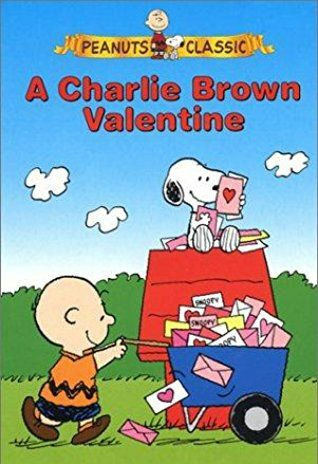 This entry was posted in Animated Movie Reviews, Animated Movies, Reviews and tagged A Charlie Brown Valentine, Comedy, Film Review, Linus, Movie Review, Peanuts, Review, Romance, Slice of Life, Snoopy, TV Special, Valentine's Day by dreager1. Bookmark the permalink.